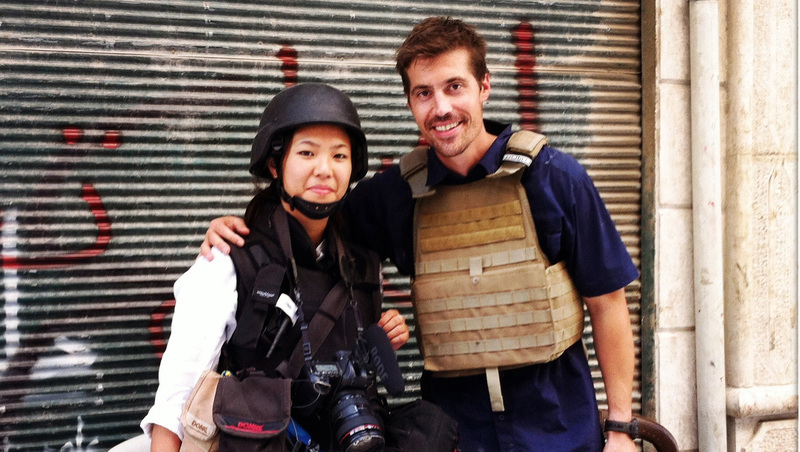 The execution of freelance journalist James Foley in Syria last week has brought new attention to stark realities of life as a freelance reporter covering conflicts in Syria and across the Middle East. As they share poignant memories of a friend and colleague, many in the journalism community are urging a deeper consideration of the relationship between freelancers and news outlets publishing their work and a better understanding of the risks independent journalists take on to report from dangerous regions. The perils of conflict reporting for freelance and staff reporters have grown in recent years. The Committee to Protect Journalists reports at least 70 journalists, including Foley, have died covering the conflict in Syria since 2011. Of those nearly half -- 46 percent -- were freelance reporters, which is significantly higher than the percentage of freelance journalists killed worldwide. In 2011, 2012 and 2013, one-third of journalists killed worldwide were freelancers. "CPJ has never documented so many abductions in a conflict zone" than in Syria, Courtney Radsch, CPJ's advocacy director, told CBS News. "We've recorded more than 80 journalists who have been abducted in Syria since 2011." Nicole Tung, an independent photojournalist who reported from Syria and Libya along Foley, said many news outlets don't seem to understand the sacrifices freelancers face in order to get the story. "I do firmly believe we have to be there," said Tung, "[but] I think a lot of editors may not understand what we're actually going through out there ... Freelancers are really on their own." Frank Smyth, director of Global Journalist Security and an experienced independent journalist, says a common issue within the freelance community is the fact that they often must pay for their own war-zone insurance -- which covers needs like emergency evacuation and treatment at foreign hospitals -- and is typically the most costly security consideration for news outlets. Smyth calls it a "a criminal act" to pay a reporter for stories but refuse to pay for the insurance necessary to guard against the risk of reporting those stories. According to Smyth, who is also CPJ's senior adviser for journalist security, buying protective equipment -- "flak jacket, a helmet, body armor that is strong enough" -- is another cost freelancers have to assume on their own. As a result, many skimp on or choose to go without altogether. Smyth says news managers should also undertake some basic responsibilities when agreeing to a relationship with a freelancer in a conflict zone, including daily check-ins with a reporter in the field as well as having candid conversations about their emotional well-being and their understanding of the risks. "A lot of things you need to be secure don't involve money...risk assessment, having an editor in-house review the risk assessment and use it as a point of departure to come to a real understanding about the risks that are being undertaken. That's not about money. It's about time and energy. We're encouraging news managers to make that a priority." Still, he adds there are simply some things no conflict journalist should go without, namely hostile environment and emergency first aid training, which he says is often required for staff reporters but rarely provided to freelancers. Several popular five-day hostile environment training courses cost $3,000 and along with insurance, it is frequently a cost freelancers choose to forgo due to personal financial constraints. Outside of paying for their own protection, freelance reporters find themselves paying out of pocket for the basics of reporting a story, including drivers and translators. "When I was in Afghanistan, over about a two-year period, I had to spend $30,000 out of pocket just for things like working with a fixer and transportation. If you're with a staff outlet, that's paid for you," Tom A. Peter, a seasoned freelance journalist, told CBS News. For Tung, her reporting expenses "all comes out pocket," which makes it difficult to break even, let alone earn an income. "Sometimes we're paid a day rate that can barely cover the overhead of our operations," she said. "I would lose an entire day" dealing with logistical and budget constraints such as obtaining a generator for camera equipment, Peter said. "Things like that wear you down" and can distract a journalist from safety concerns and situational awareness in conflict zones, he said. But, he says, there is always the worry that if you ask for too much, an outlet will lose interest in your work. "Every freelancer deals with the stress of worrying that 'If I ask for this expense to be reimbursed, are they going to stop working with me? Is there someone else out there willing to eat all their own costs and his work is good enough?'" Peter's concern that less experienced journalists are willing to report from hostile regions and demand less from budget-conscious news outlets is a very real one, says Smyth, given the shifting media landscape. "What's changed is that there is a shared interest between startups and aspiring young journalists to want to get news covered that wouldn't otherwise be covered," Smyth said. "These aspiring freelancers just want to get published ... so they can't go to the outlet and say, 'I want you to publish me and I want equipment, insurance, and training.' The outlets will go to someone else." "As a freelancer, it's really hard to speak up sometimes to ask for things that should just be a given," Peter said. As for the news outlets, he said, "I think it's unethical to take [work] from freelancers in these places if you're not sharing in the risk."